Can I Schedule the Subscriber Add-On to Process ? 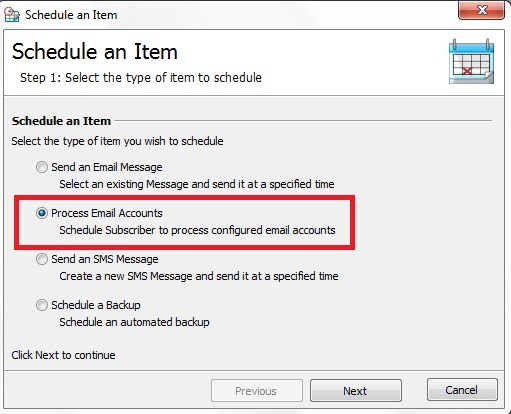 Providing you have Configured your GroupMail Subscriber Add-On to Process your Opt-Out Requests and Bounce Back Undeliverable Messages. 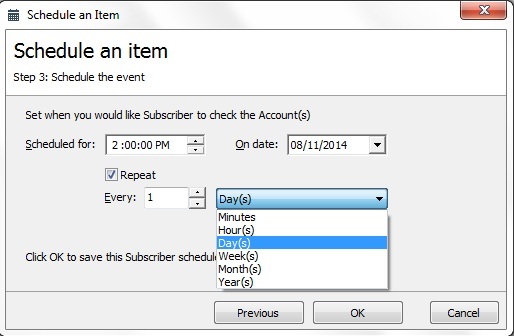 You can Schedule the Subscriber Add-On to run at regular intervals automatically. Select “Process Email Accounts” and press Next. Choose the Account to Process. 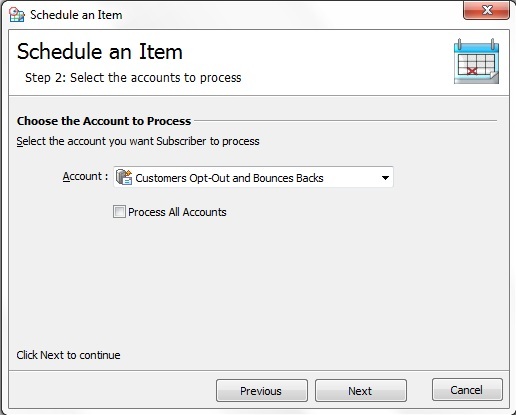 Note: If you have more than one Account configured in Subscriber, then you can select “Process All Accounts“. Next. You can now select the Date, Time and Frequency you wish this Process to Run. 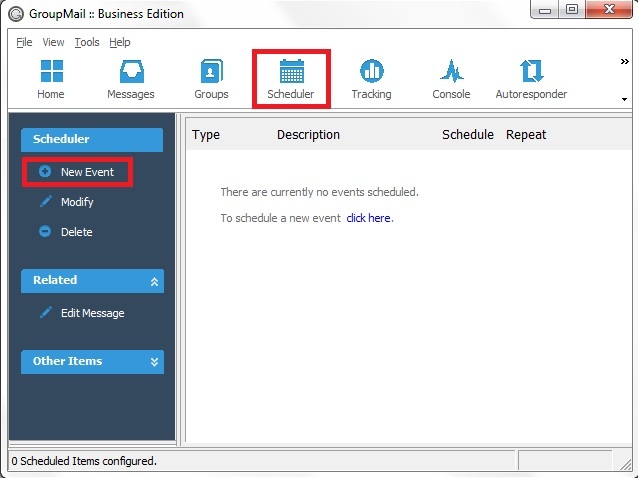 Once you have selected these details press Ok.
You Scheduled Event has now been created. Likewise you can remove this Event, by clicking on “Delete“. From now on… you never need to worry about manually removing recipients ! 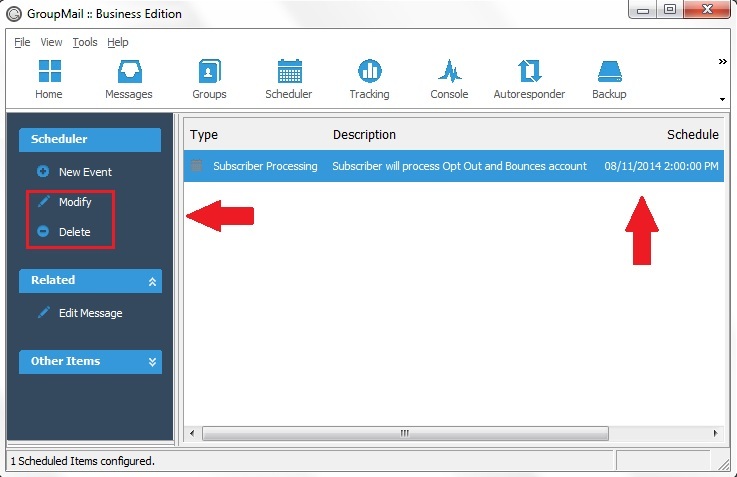 The Subscriber Add-On will take care of all your Opt-Out and Bounce Back Messages automatically !. Scheduling is only available in the GroupMail Business Edition which you can Upgrade to if you are a GroupMail Personal Edition User.